The only time we like the word Hybrid is when its followed by the word Turbo! 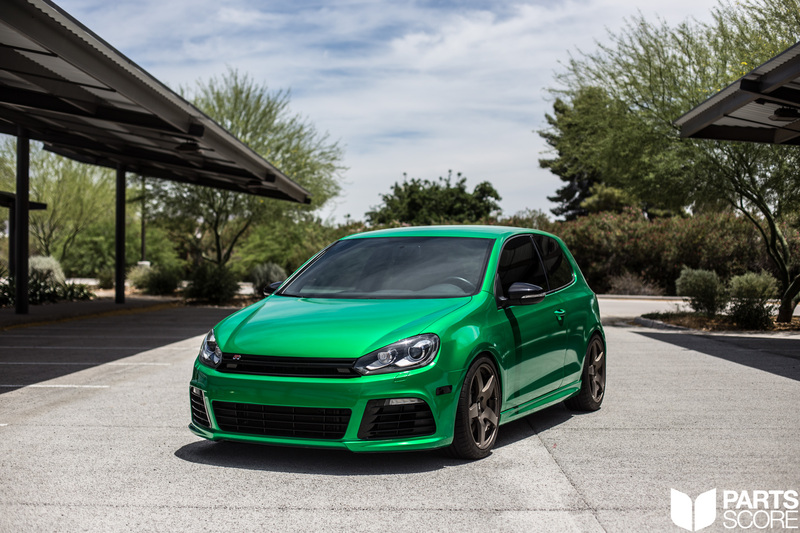 Ryan’s Golf R is now one of the fastest in the state thanks to the new addition of the TTE480 Hybrid Stage 3 Turbo, Integrated Engineering Valve Springs, O34 Motorsports Solid Mounts, and Custom GIAC Flash to support the larger turbocharger. 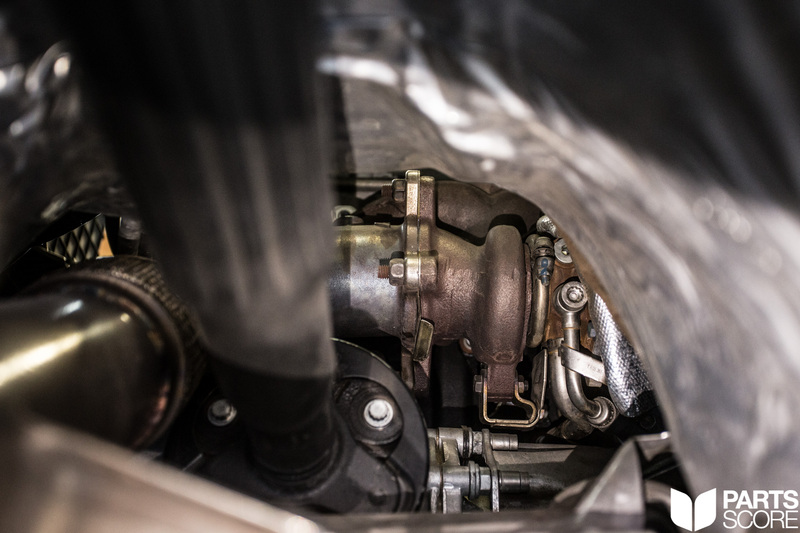 The TTE480 Hybrid Stage 3 Turbo starts life out as a normal K04 before it is transformed by The Turbo Engineers to its current state. 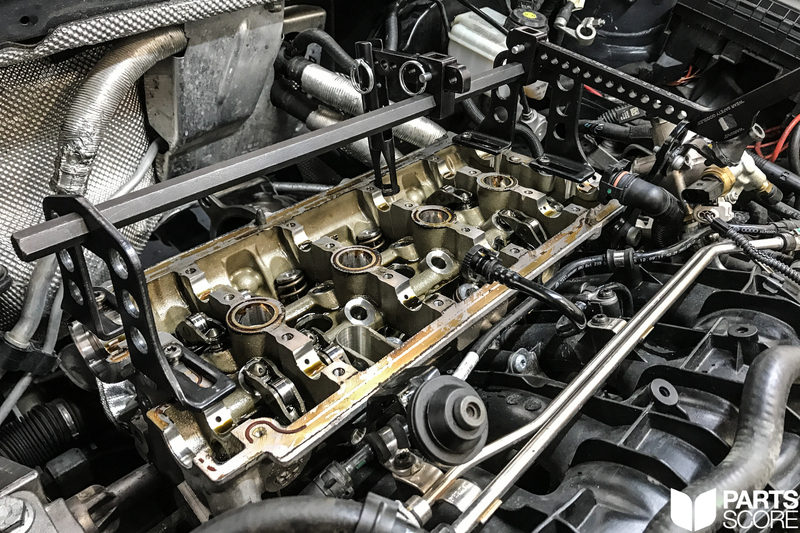 The improvements are many but the key areas they modify are: larger billet CNC’d compressor wheel, larger turbine wheel, ported intake pipe and ported exhaust runners. In addition the turbocharger is dynamically balanced for the ultimate in long lasting performance. 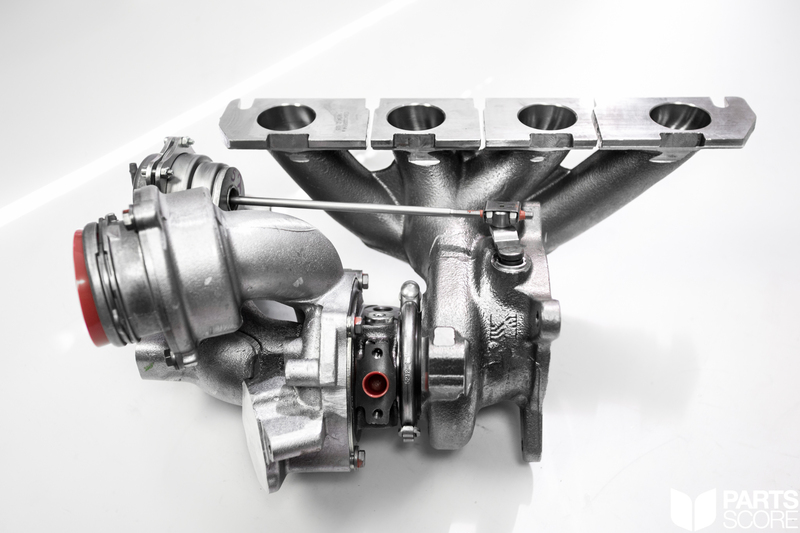 With proper supporting modifications this turbocharger is capable of 440+ AWHP. 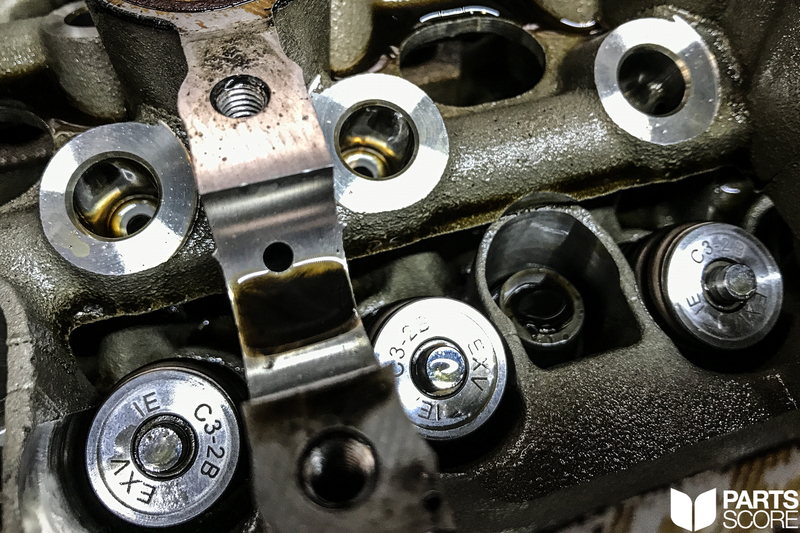 In addition to the TTE480 we also installed a set of Integrated Engineering Valve Springs and O34 Solid Motor Mounts. Neither of these modifications are required however they will both go a long way to improving performance. 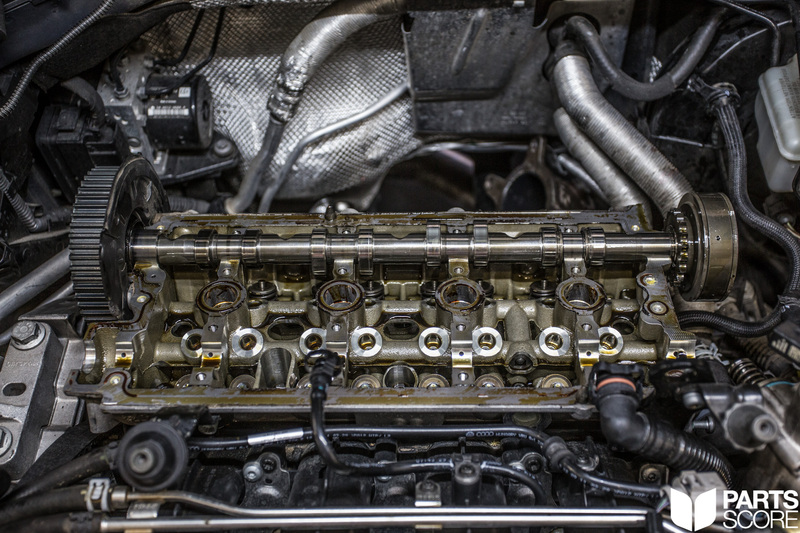 The upgraded valve springs will allow for a higher red line to take advantage of the larger turbocharger. 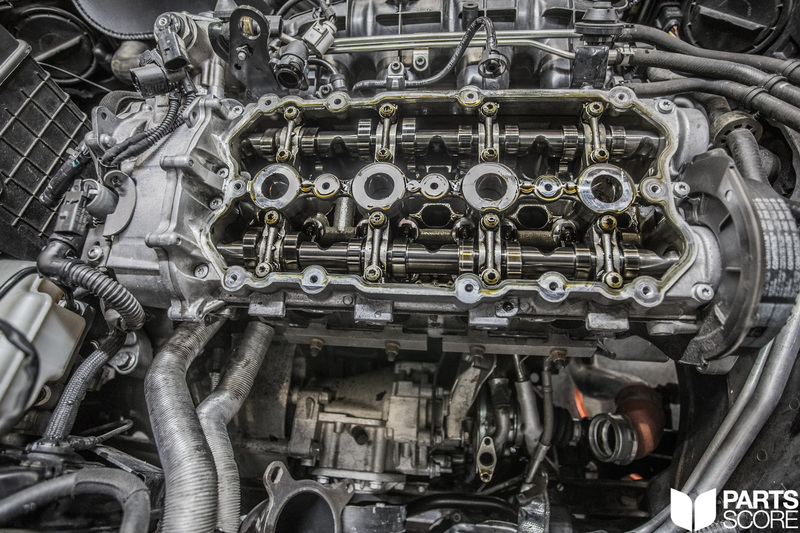 They will protect against engine failure and prevent valve float. The solid O34 Mounts will eliminate the slop that is present with the original rubber mounts as well as increase driving feel. 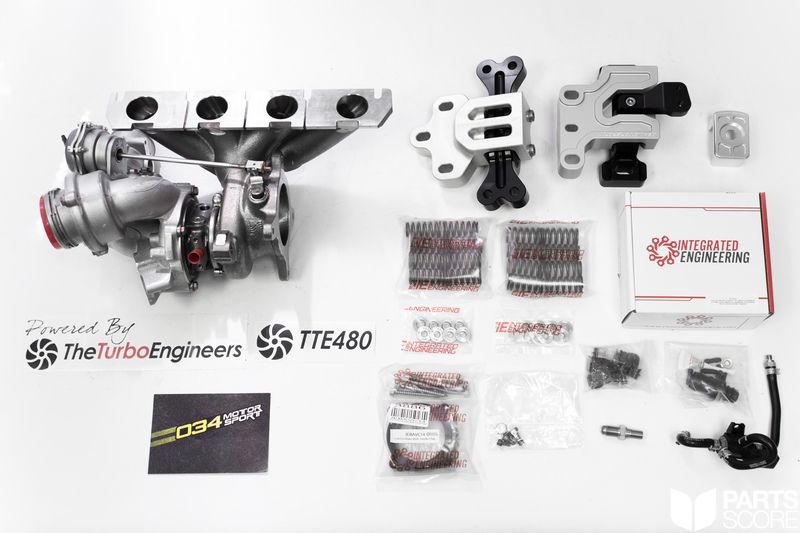 The TTE480 Turbo is a 100% bolt on application however it does require the typical bolt ons such as downpipe, intake, intercooler, and tune. We would recommend both upgrading the suspension and brakes to handle the extra power. 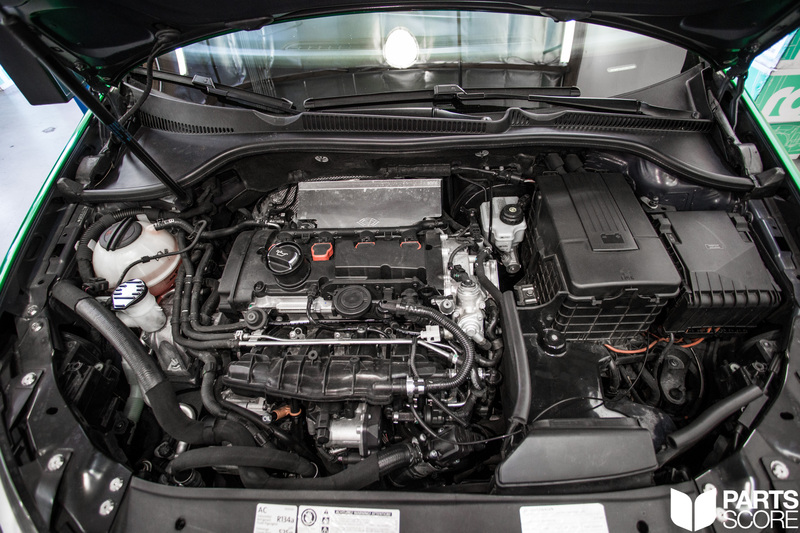 To equip your Golf R with this setup please contact us now and one of our modification specialists will guide you through the process. The turbocharger, valve springs, and motor mounts laid out prior to installation. 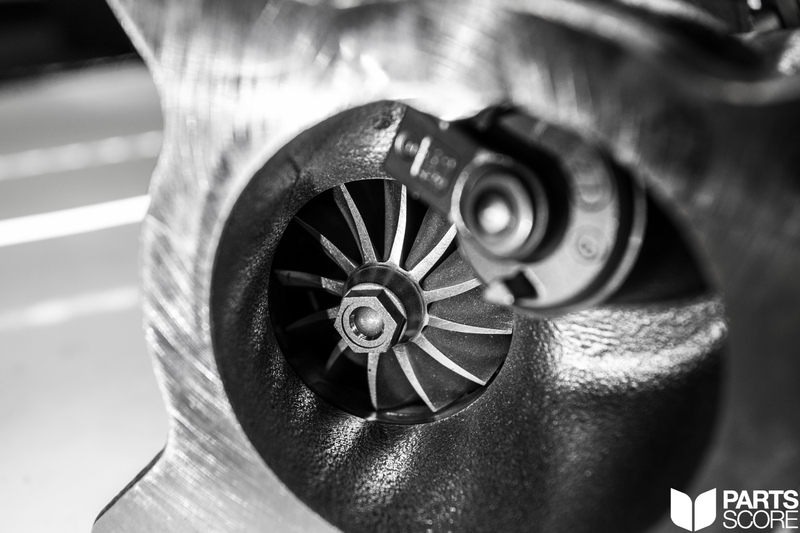 Closeup of the larger redesigned turbine wheel. 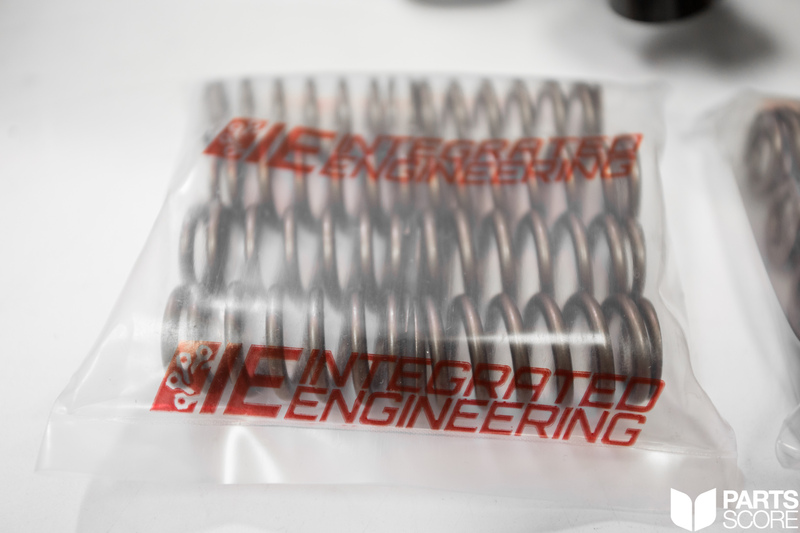 IE Valve Springs. These will go a long way to protect the engine and prevent valve float when the red line is increased. Starting the tear down process! Here is the motor before all the new parts go on. Racked and ready for us to begin! Starting the tear down process the valve cover is removed. The intake cam is removed first. The the exhaust cam is removed. And finally the IE Valve Springs are installed. Next part to be tackled is the turbocharger. What is nice about the TTE480 is due to the fact that it uses a K04 frame the installation is very straight forward, just like an OEM replacement. Now that the turbo and valve springs are installed, the motor mounts can go in. Everything installed, one final inspection before this Golf R gets flashed with new GIAC Software to take advantage of the turbocharger and valve springs. Flashed and ready to hit the show and track scene! 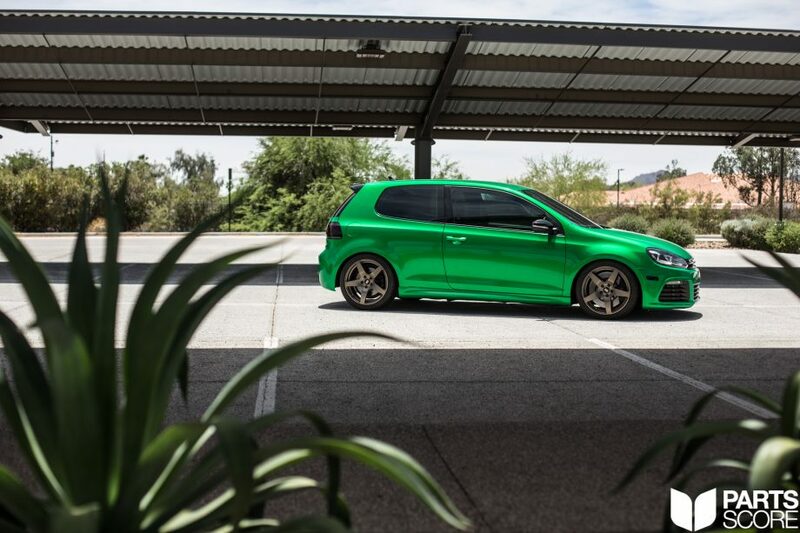 We are proud to have built this Golf R for Ryan and can say that this is one of the fastest Golf R’s on the streets in AZ!